Isaacs Hostel Dublin is probably Ireland’s best known hostel internationally. It has been operating for years and has gained a reputation as a great place for young visitors to hang out. It is centrally located in the heart of Dublin, close to numerous attractions with the main transport systems at Connolly Train Station, Busáras central Bus Station and The Luas all nearby. It has great facilities including a laundry, Playstations, WiFi, a sauna, TV lounge, a pool table and table tennis. Housed in an old stone wine cellar, there is a friendly communal atmosphere at Isaacs. There is a kitchen and also a cafe and deli. A free light breakfast is provided. 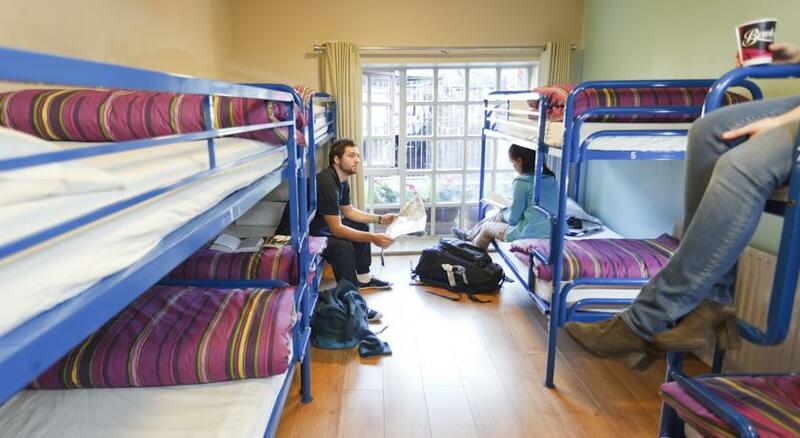 There are 50 rooms at Isaacs Hostel, all with shared bathrooms. Hairdryers, irons and ironing boards and laundry facilities are available. There is a choice of single, twin and double rooms as well as mixed and female dormitories which can accommodate up to 16 guests. Being in the city centre all the famous attractions are nearby. The hostel is within easy walking distance of the 3Arena ( formerly the O2), The Abbey Theatre, The Bord Gais Theatre and Croke Park.